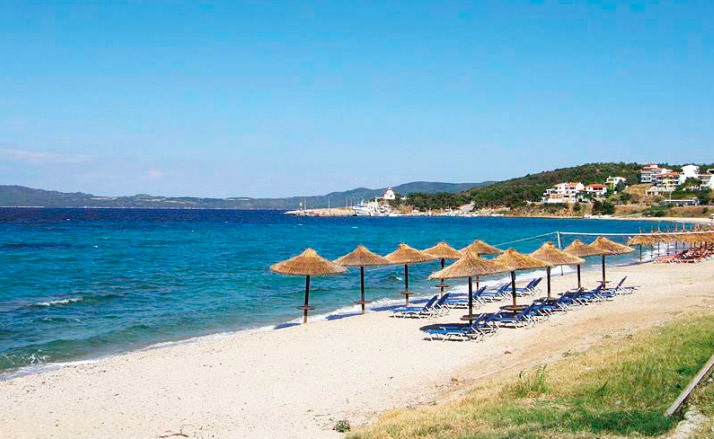 You can find restaurants and snack bars on the beach or in Roda village. 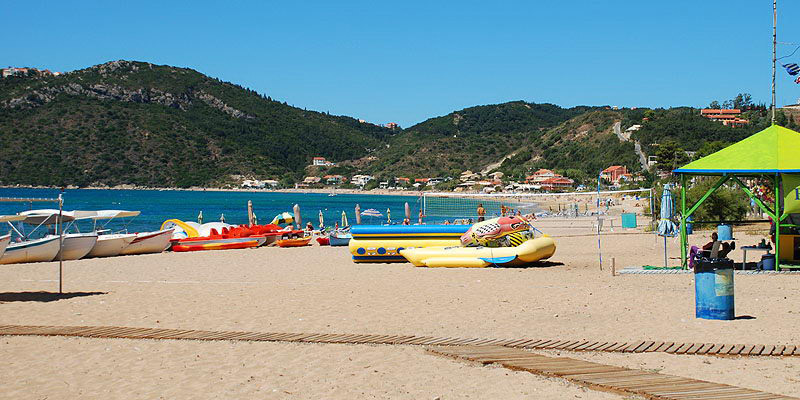 Roda is one of the most tourist villages of this area and it offers two different beaches. The first one is small and is in the West side of the village while the second one is extremely long and runs along the part of coast more tourist. Here the bottom of the sea is sandy and not very deep. 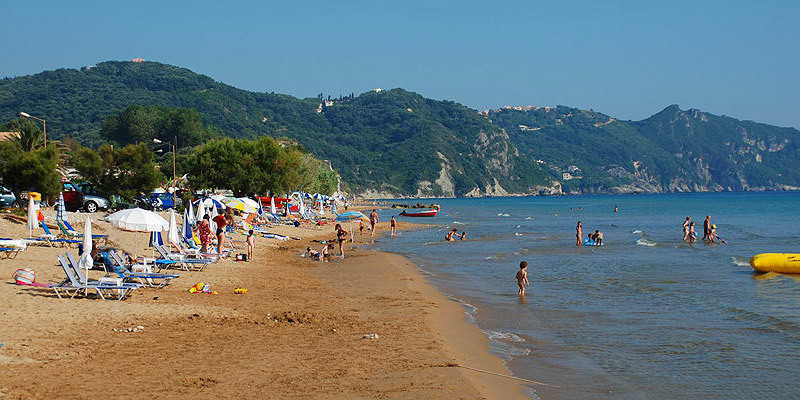 This beach is not one of the best of Corfu island, but it’s nice the long pear that goes into the sea and a small area that can be used by owners of caravans. Behind the beach there’s a promontory that creates, in some hours of the day, a nice shadow where to get fresh. 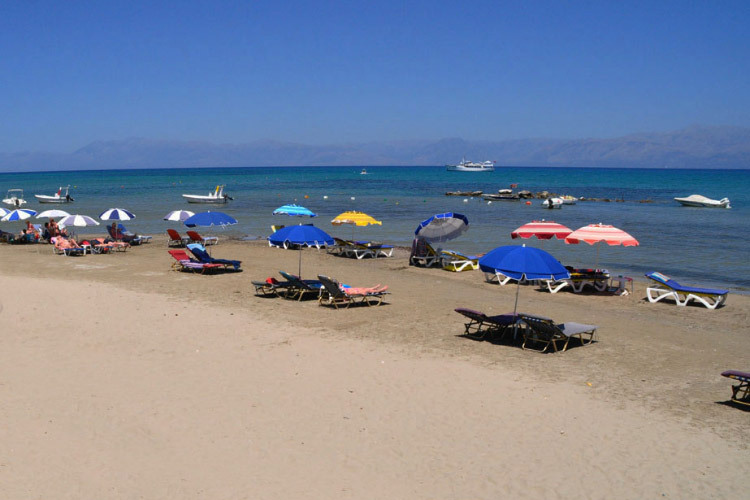 The beach is wide for those who like to lie under the Greek sun and the water is very clean. You can rent pedalos, kayak and motor boats. 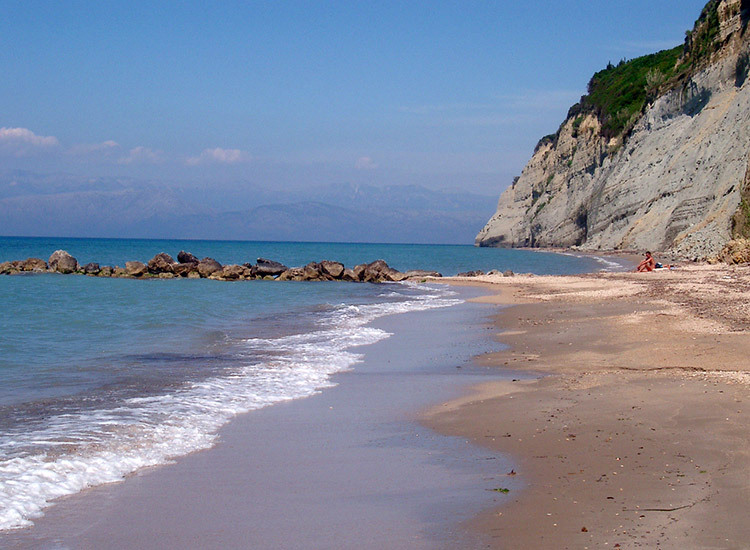 Sidari is a big and developed tourist town with different beaches and small bays. 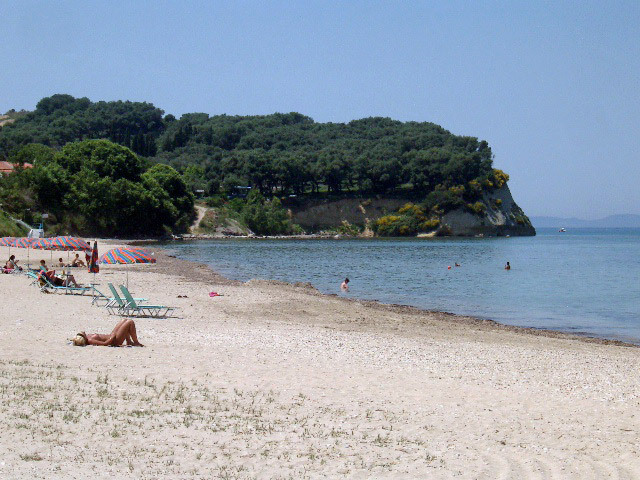 The main beaches of Sidari are three: the first is the famous Canal d’Amour (Love Channel of Sidhari); the second one is very tourist because runs along the town and is an extremely long sandy beach; the third is a nice and small bay, surrounded by several rocks shaped by the wind. 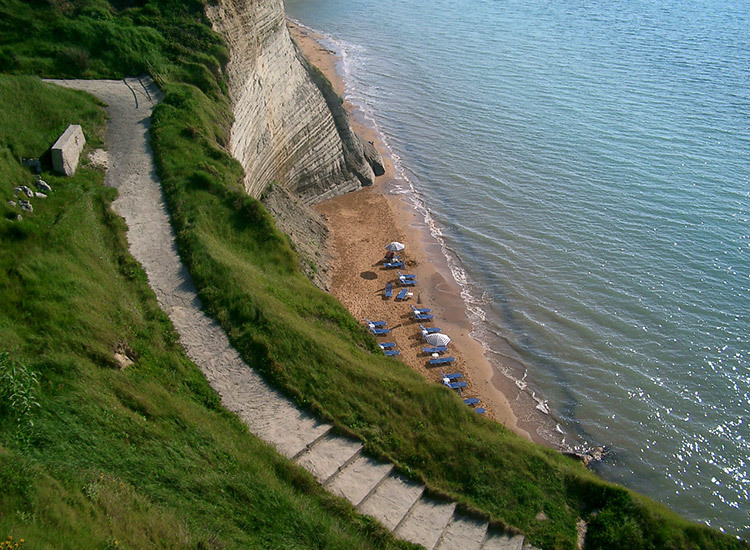 The “Channel of Love” is a very particular beach and you can see it also inside our top 10. 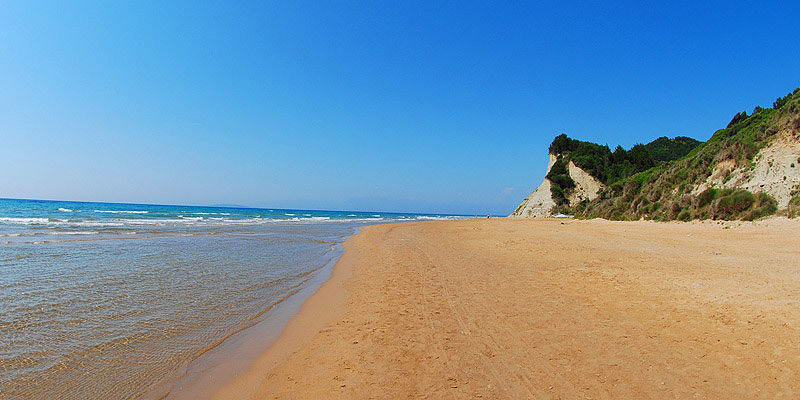 To reach this beach you just have to pass the town of Sidari and go towards Peroulades. On your right there is a small sign that will drive you to the channel. You can reach this little fjord following a dirt road, better with a jeep 4X4. 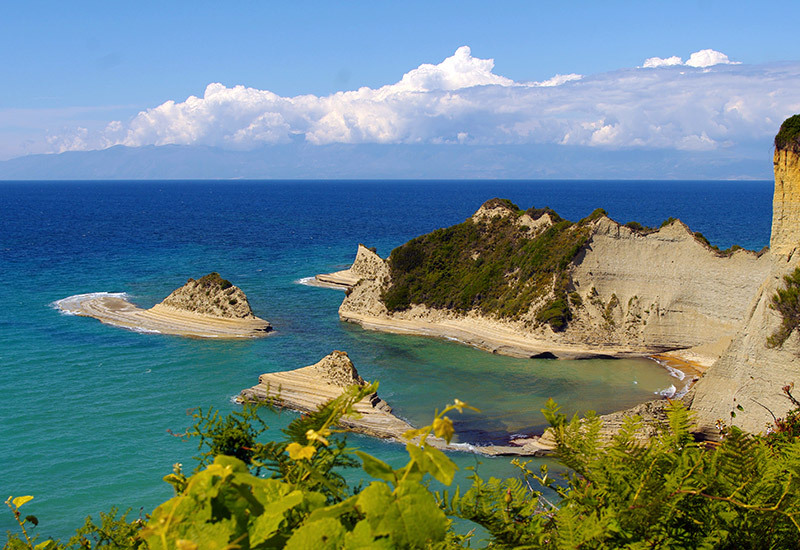 Along the road the view is stunning and you can admire the famous rocks of Sidari shaped by the wind. After 1,3 km driving you will reach a big flat rock on the sea level. 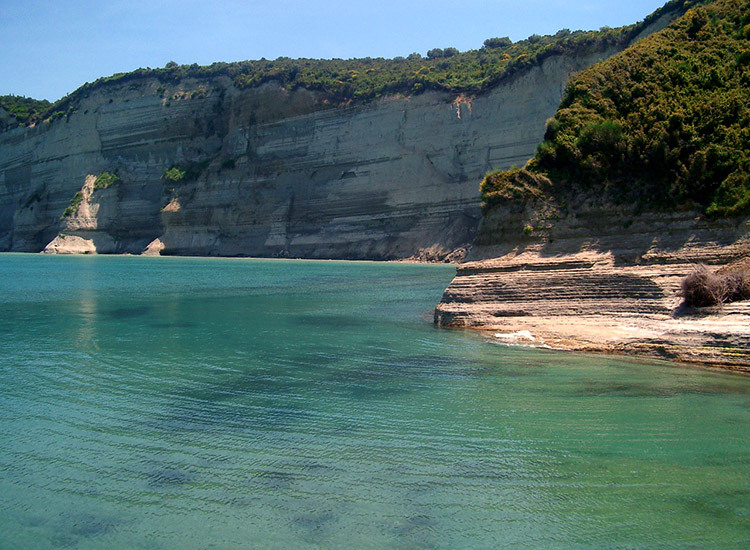 The cliffs all around are smooth and round and the water is transparent. You can stop here for a nice swim along the coast, but certainly it’s not the ideal place where to spend all the day. To arrive at Longa beach you have to pass through Peroulathes and reach the coast where a path will take you down to the beach. 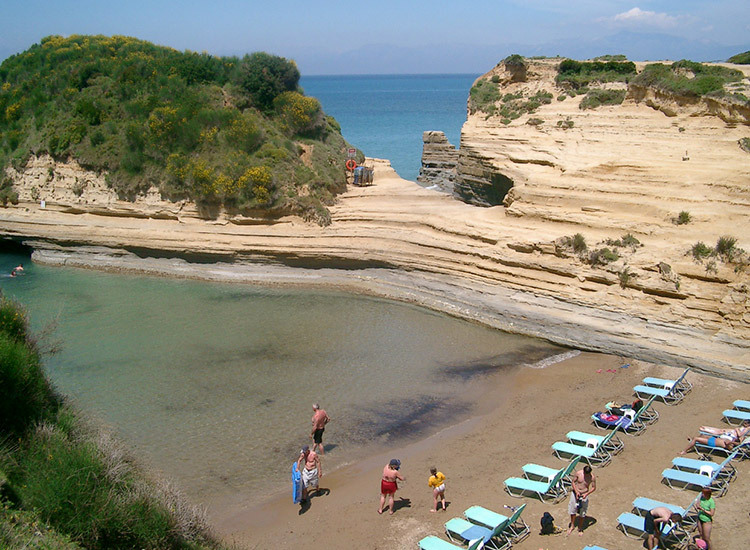 As this beach is very short, when the sea is in bad conditions the water covers the entire bay. Really stunning from the top….be sure you digital photo camera has still enough memory space! 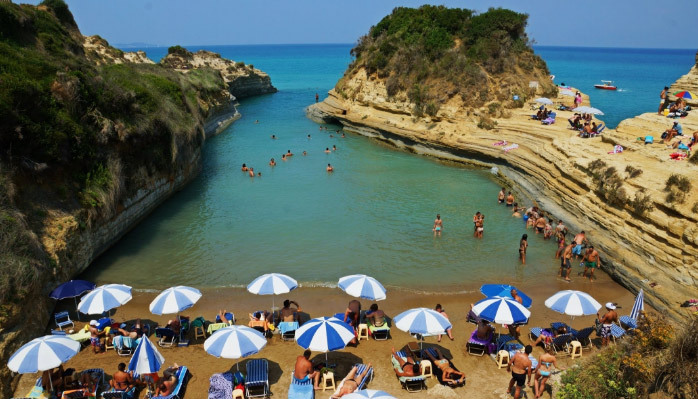 One of the most charming beaches of Corfu island, Longa (also called Logas) is placed near Peroulades village, in the North part of Kerkyra. You can park your car on the top of a cliff where there’s a marvellous view to the Longa beach below and over the blue Ionian sea. You just have to follow by walk a little path to reach the bay and relax on its sandy beach or dive into its clear waters. 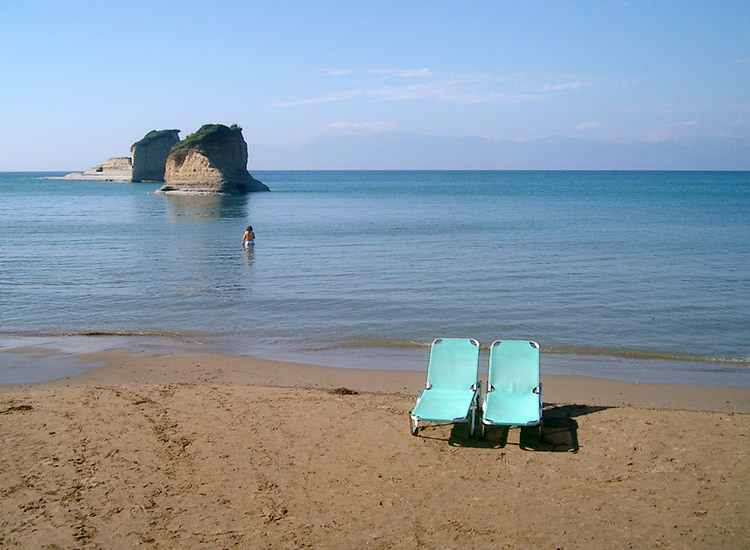 We suggest you to avoid this beach when the sea is in bad conditions, while you can not loose this beach at sunset time! 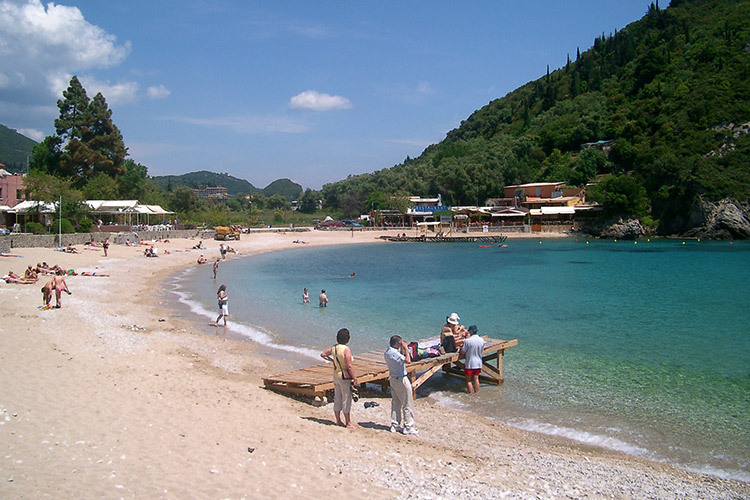 Aghios Stefanos is a lovely bay surrounded by hills. Very often there is strong wind in this area and for this reason sometime the beach is not very clean. 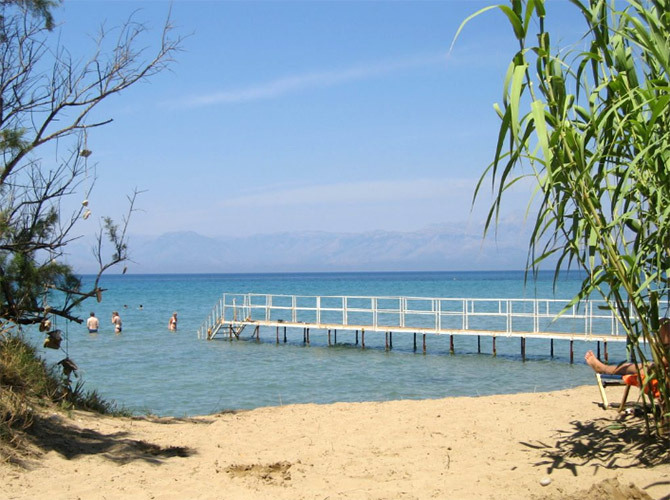 It is possible to take the ferryboat from the little pear close to Aghios Stefanos for Mathraki and Othoni (Diapontia islands). This beach is the ideal place for families with children because it is very calm. There is the sand only near the sea, the rest part of the beach is rocky. 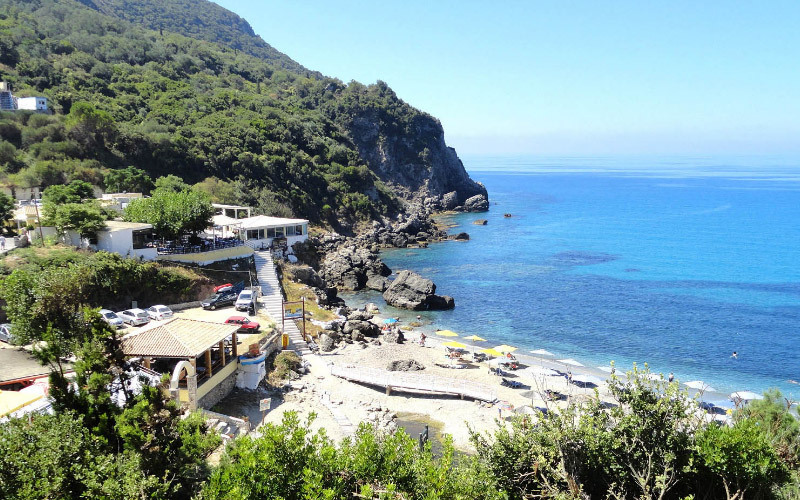 The sea here is not very deep and in front of Arila beach there are some small islets which are possible to reach by swimming being in a good physical condition! 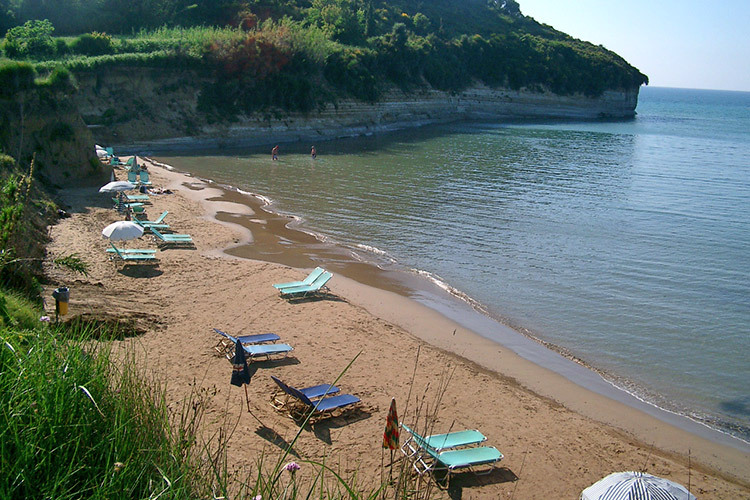 Agios Georgios is placed in one of the largest bay of Corfu island and if you come from Paleokastritsa you can have a really stunning view all over the beach. It is so long that you can always find privacy and relax. 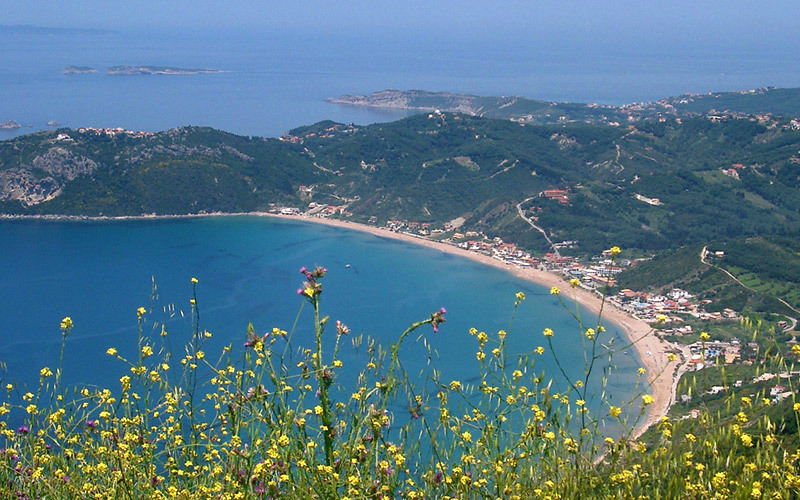 Paleokastritsa is an area with five different small bays. The principal one is placed just under the ancient monastery and is the most tourist due to its dimensions. 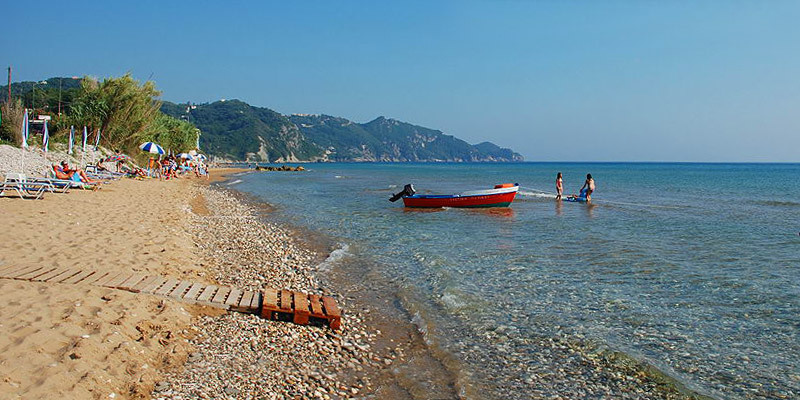 Another beach is close to the pear where you can see several luxury boats during the high season. 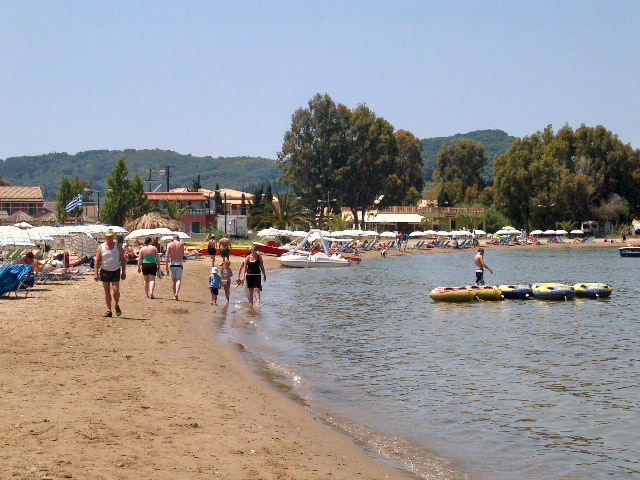 To reach the other bays you should have your own boat or use the taxi boat service. 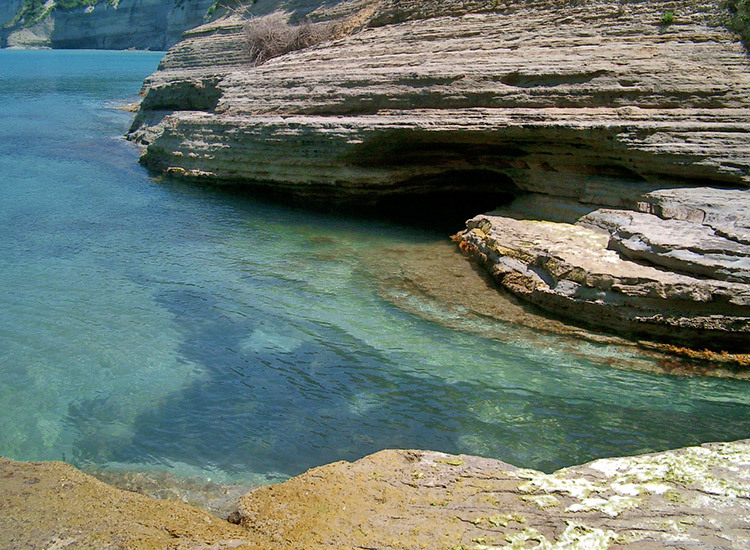 This area is ideal also for those who love snorkeling, the sea is deep and the water is a little bit cold. 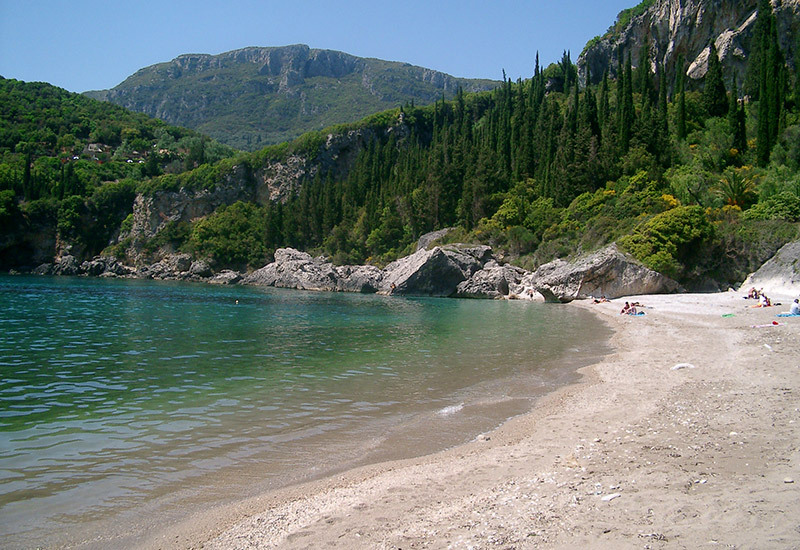 The beach is placed inside the first gulf after Paleokastritsa and has a similar setting. 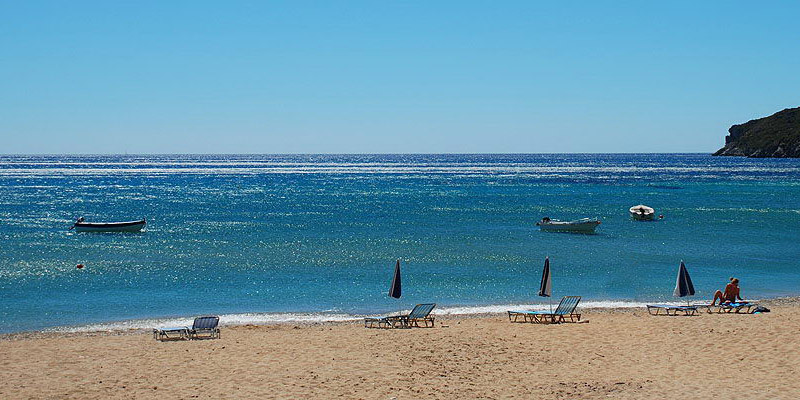 Surrounded by the Mediterranean nature and with fantastic sea water. Along the coastline near the beach there are some interesting caves you can visit. A nice lonely bay but a little bit far from the road and from other beaches. 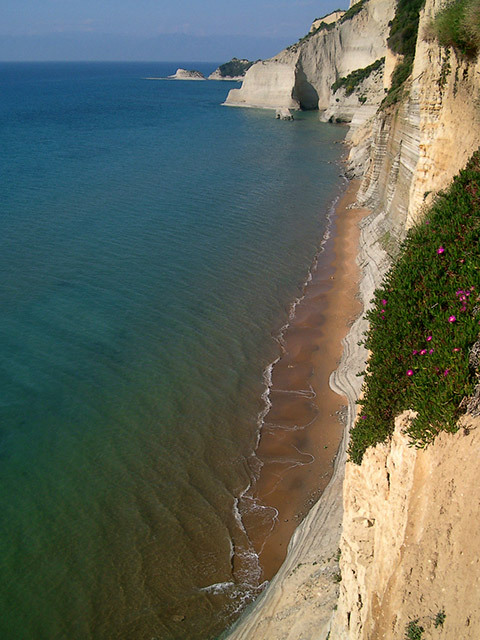 Ermones bay is surrounded by some hills and has sand in the middle and rocks on the two sides. It’s a lonely place ideal to relax far away from big tourist villages.